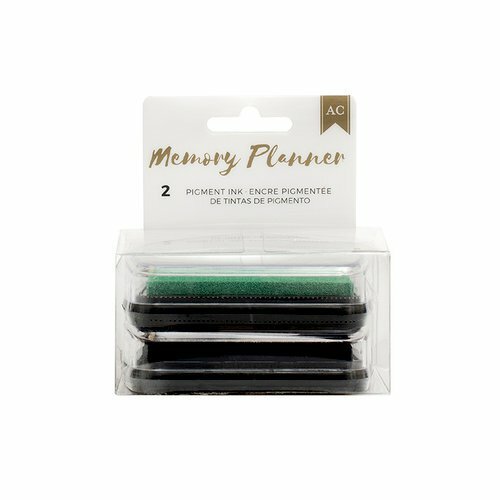 Easily add, dates, icons and more to your favorite daily planner with these great colors from the Memory Planner Collection! The Green and Black Stamp Pads by American Crafts feature a raised surface making it easy to use any size stamped that you’d like. There are two ink pads included in the package that measure 2.75″ x 1.75″ each.